Good morning from Canoga Park, California and welcome to the November edition of our monthly newsletter, filled with good portions of thought-provoking features, all designed to keep our members thinking and gaining insights on the actions that will follow. Continuing this month, we highlight a partner organization of the In2:InThinking Network. 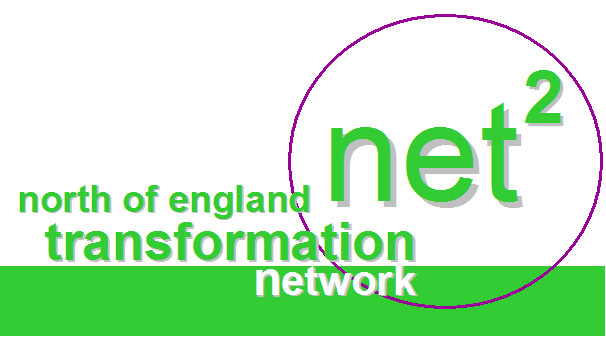 We first featured the North of England Transformation Network (NET2) in November 2006. Each month we interview members of the In2:InThinking Network to get their perspectives on a variety of questions. This month we asked Tony Harrison (shown here with Russ Ackoff) and Tony Brown (below) to provide their insights. I was born in Los Angeles, California, but my parents moved back to Athens in Limestone County, Alabama when I was very young. Except for the time when I was at Auburn University obtaining an engineering degree, I have always lived in this county. I guess one can say I don't "get out" very much. But Cheryl, my wife of 27 years, and I have 2 boys we have raised on the "old home place" farm and have enjoyed almost all of it. I have been working for NASA/Marshall Space Flight Center in Huntsville, Alabama, ever since I was graduated from Auburn. I began as a structural design engineer and over the years performed some discipline functions as a "systems engineer" and later decided I wanted to work (learn) the propulsion engineering discipline. That last decision occurred over 9 years ago, and I am still learning. That recent exposure, however, had lead me to my current position. That is managing what we at NASA call a "resident office" of 6 people at the United Launch Alliance (ULA) facility in Decatur, Alabama. This office provides "insight" into the production, by ULA, of Delta II and Delta IV Expendable Launch Vehicles (ELV's). [I am a government worker, acronyms are in my blood] This "insight" is such that we do not perform government inspection points at certain stages in the build up of the rocket, but rather assessment of ULA's internal production process and control, and evaluate their approach to addressing production issues. This work is challenging if you can imagine because our office really does not have any authority towards ULA; but rather we use our influence, after developing some level of integrity, if we see their quality system going "amiss". I have been working at the ULA facility for over 5 years now and enjoying nearly every day of it. ULA has taught me so much and I hope I have made a small contribution with them. Just as importantly, I work part-time on the family farm, am a teacher and deacon at the church we attend, and my wife and I currently care for my mother who has dementia. I participated in only the last 2 years of the Forum. I really wished I had been introduced to Bill Bellows and the Forum earlier than that because it is an environment in which I meet people who really do have goals and ideas much like mine. Kelly Harris, a ULA employee in Decatur, introduced me to Bill by allowing me to participate in one of his Enterprise Thinking classes in Decatur. I have come to appreciate her more and more as time goes on for her willingness to share the class with me. 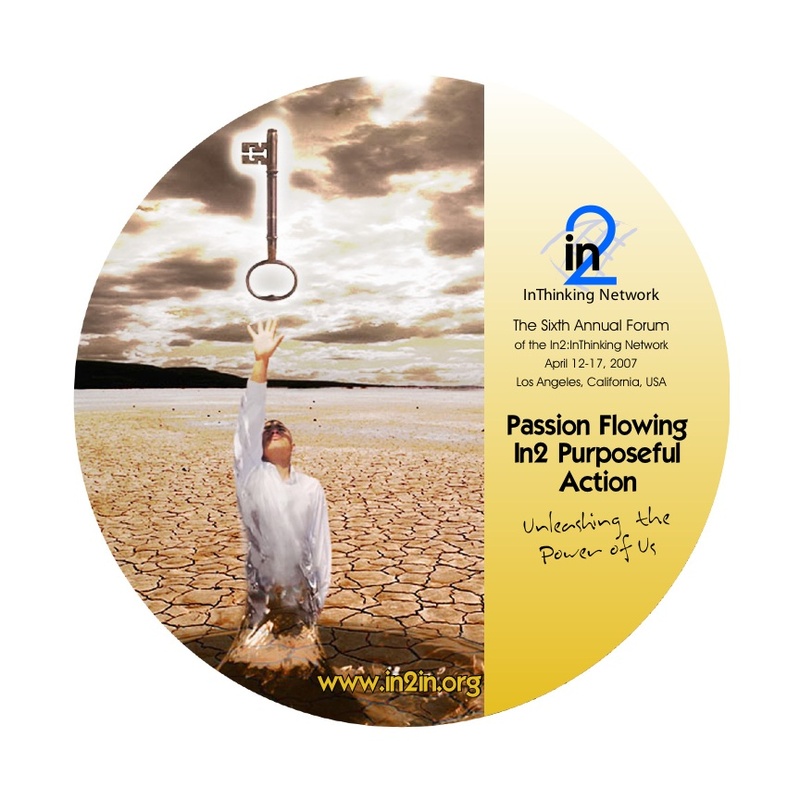 In passing at the 2006 Forum, Andrew Johnson introduced me to the book The Fifth Discipline by Peter Senge. I am a slow reader, but completed it just a couple of months ago. This book gave me greater insight in my own "mental model" of how I see the world. I was amazed how the images, assumptions, and story lines I had generated in my head was almost always not accurate. Not just in my work world but in my personal life and with close associates, I must determine to ask questions first, do research and get as much facts as possible before reaching a conclusion. And even before that conclusion, discuss with those potentially impacted. "I cannot solve the world's problems or even my own problems by myself". Choice Theory by William Glasser. Understanding the contents of this book will not make your life simpler or easier, but it sure will help settle you and know that you cannot change people. The Fifth Discipline, by Peter Senge. Solomon on Wealth by Stan Bullington I got a "pre-published" copy of this book from Stan, and it contains a wealth of instruction about financial wisdom, not only for ones personal life, but should be considered applicable to government and industry. Bully Pulpit Press of Starkville, Mississippi, is the publisher. Develop good, wholesome, relationships with people who are trying to understand what is right and want to practice it. I have found that the people in this network are trying to do just that. In addition to Tony Harrison, we would also like to introduce our members to another Tony - Tony Brown. I was born in Alton, Hampshire, UK. I live in Highgate North London, five miles from Charing Cross and a half a mile from Karl Marx's grave. We have a fantastic view of London from the roof high deck of our Victorian (1862) home. I enjoy walking, cycling and busing (with my freedom pass) around London. Visiting art galleries attending classical concerts and the theatre. I also play chess. I retired a year ago after a career in Aerospace (Handley Page, Atlas Aircraft and BAE), Automotive (Ford of Europe and Lucas), and Defense (GEC and BAE). The highlights of my career were probably playing a significant role in the Deming transformation of the Ford supply base after reading his book Quality Productivity and Competitive Position in 1983. I attended one of his first UK seminars for Ford and have a signed copy of his book Out of Crisis along with a him. After leaving Ford, I lead TQM programs at Lucas and GEC, where I managed the Sting Ray torpedo program quality planning and was reponsible for quality surveying and improvement on the The Astute Nuclear Submarine program and managed the quality planning on the M777 light weight howitzer program for the US Marine Corps. I currently run a small business improvement consultancy, based on Dr Deming principles. I represent the UK on BSI and ISO standards committees (TC69 statistical methods currently working on a revision of ISO 7870 SPC Implementation and TC 176 on the revised ISO 9000 fundamentals and vocabulary). 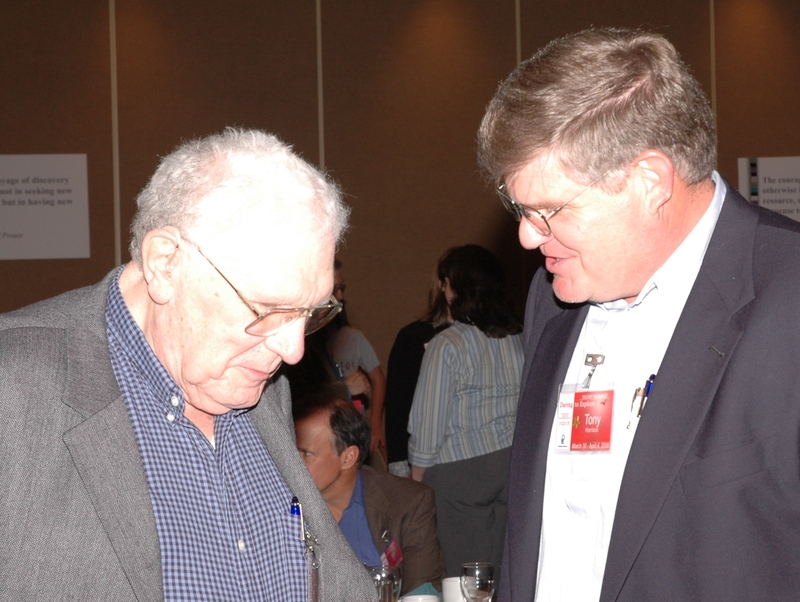 I'm a member of the UK Deming Alliance and the CQI Deming SIG. I chair the Standards Development Group, sit on the Professional Development Board and I am helping to write the Body of Quality Knowledge for the Chartered Quality Institute. I have not, but would love to attend. At the end of a four-hour session working on a sustainable transformation model and getting nowhere I picked the felt tip pen up, started drawing on the flip chart, and the ideas just started to flow from the whole group. The J Curve - Bremmer , Toyota Talent - Liker, The Puritan Gift - Hopper, Against ISO 98001 - Sedden, Applied Statistics and Probability for Engineers - Montgomery, Kotter's two books - Leading Change and the Heart of Change, Meaning, Inc. - Bains, and The Michelin Guide to France for my holidays! Rebirth of American Industry - Bodek and Waddell. I think they have discovered (along with Tom Johnson) the root causes of USA and UK decline. Develop a hunger for knowledge and read big Q's tip of the day! If you are searching for information on Centralized (Spider), De-Centralized (Starfish) and Hybrid Organizations (Toyota) this book, The Spider and the Starfish does a great job of explaining the unique nature of each along with providing examples of their strengths and weaknesses. The authors, Ori Brafman and Rod A. Beckstrom, are generous in the examples they provide and stories they share about eBay, Alcoholics Anonymous, Apache, Craigslist, Goodwill Industries, and IBM. They are explicit in proposing their explanations for why the Apache were difficult to defeat because of their De-Centralized organization structure and the emergence of "Nan'tans" which are individual leaders who act independently of the organization and are followed by small circles of supporters due to the actions or knowledge of this independent leader. The Apaches held a common belief and ideology that they belonged to the land and deserved to be self governed, they strongly pushed back on any centralized system and anyone who interfered with that became the enemy. A Spider (Centralized) organization is one that is has a CEO hierarchy and if you cut off the head then the spider dies. The MGM Music industry is currently in this situation where they are struggling to manage the download of free songs provided by many locations. The problem is that these locations function as a Starfish. This organization is devastated by chaos and cannot adapt fast enough to react appropriately. A Starfish (De-Centralized) organization is one that when its legs are cut off will just grow new legs or the leg may grow into an entirely new starfish. In the example above as the MGM Music industry wins court battles protecting their songs more and more location pop up which provide free download capabilities or song swapping opportunities. This organization thrives in chaos and moves and adapts to it in a very flexible manner. First - If orders come from the top, the membership may follow but will not be inspired to give their all. Second - Leaders in "Top Down Organizations" want to control what is happening, limiting creativity. Third - Centralized Organizations are not set up to launch De-Centralized activities. Fourth - Without De-Centralized circles, there is no infrastructure for people to get involved and take ownership of an idea. The Starfish metaphor and story is important because it established clarity to stories such as the authors share about the Quakers. The Quakers were a starfish (De-Centralized) community and at a certain point specific members decided that the slavery that existed was wrong and decided to support the Abolitionist movement. They joined forces with other activist's and used the sugar production industry as the campaign platform to gain public sentiment. This emergence of a "Catalyst" to move the struggle further is illustrated as an effective way to help create change and open up dialog. One of the most important clarifications the book makes is in the role of an organizational "Catalyst" versus a "Champion" or the CEO. Catalysts inspire and naturally connect people by creating relationships that are based on Appreciative Inquiry, Trust, and Understanding. They are considered "influencers" and every time they have a conversation with someone they are thinking about "How can I help this person?" by introducing them to someone else to help this person or make them better. This is accomplished by sharing inspirational stories. Some of the Catalyst's tools are a genuine interest in others, a desire to help, meet people where they are, Emotional Intelligence, a tolerance for ambiguity, and a hands off approach that leads to receding (they leave!!). Some of the insights the book leaves you with is the behavior that happens to a "Spider" organization (Centralized) when they are attacked - they typical become more Centralized and hunker down. The "Starfish" organization (De-Centralized) when attacked becomes even more De-Centralized and harder to find. With the resurgence of internet many new "Starfish" organizations are emerging such as Wikipedia, Craigslist, Skype, and eMule. The strategies aimed at changing or reducing the power of De-Centralized systems must be evolved from another De-Centralized system. The best opponent for a Starfish organization is many times another Starfish. Possibly the best solution is what is referred to as a hybrid of the two organizations. This organization would have two components functioning together supporting each other in this methodology...an example is eBay. eBay allows anyone who wants to join and participate in bidding or selling. The trust the user's of the service rate and grade each other using a very Starfish method. If the users like the seller's service, they rate them higher and that score is visible for all others to see. Harvard University researchers have found that items sold with an established record of positive feedback fetched an 8.1% premium over identical items sold by non-established sellers. The second part of the eBay structure is a Centralized structure called PayPal. eBay recognized that the users wanted the structure and organization of a Spider Organization when it came to transfer and billing of accounts. 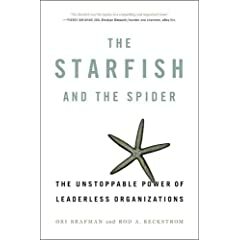 This blend of the two components has created a successful Hybrid Organization where the Spider and the Starfish can co-exist and function together. This example should be a guide for anyone constructing an organization - if you are in marketplace competition with a Spider Organization, the path to success will be very different from campaigning with a Starfish Organization. 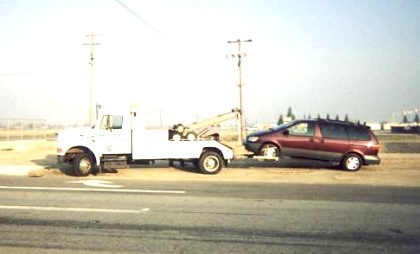 Those that dismiss the this type of structure referred to as the "Sweet Spot" by the authors should be reminded of the GM NUMMI's Freemont, California auto plant success, which was not about rigid management, cultural differences or union politics...it was from Toyota's continual pursuit of the De-Centralized Organizational "Sweet Spot." The Sweet Spot can move back and forth and shift depending on your ability to create communities and communicate effectively. If you are looking for a way to create change, connect people and maintain the drumbeat of ideology then adding a "Catalyst" to your organization may be the spark required to create a "Starfish" circle, group, team or organization. 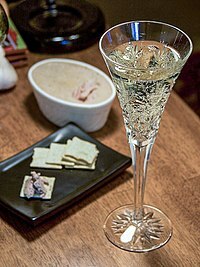 As you get ready for the year-end holidays, get ready for shortages and higher prices for bubbly wines. According to a recent article in Time magazine, these are tough times for champagne producers in Champagne, France, which is technically the "legally" defined home of most of the world's bubbly. With demand for champagne outstripping supply in this 84,000-acre region, InThinkers should look for challenges to the operational definition of champagne, which is said (depending on where you live) to date back to 17th-century inventor and Benedictine Monk Dom P�rignon. Also look for product substitution from across the English Channel in the form of Merret. All of this begs the question, would champagne by any other name taste as sweet? And, which came first, champagne or Merret? As for a historical perspective on which came first, "the Royal Society was presented on 17th December 1662 with a paper entitled 'Some observations concerning the ordering of wines' by Christopher Merret." American soccer referees have taken the next step toward parallel thinking with the introduction of another "Thinking Shirt". Until now, referee thinking was limited to process thinking (blue shirt - basically just blowing the whistle), the logical negative thinking (black shirt - offering opinions about why that two-footed tackle was not a good idea), emotional thinking (red shirt - everything about soccer is emotional, at least in other countries), and, of course, the logical positive thinking in the gold (yellow) shirt (offering encouragement to young players). With the introduction of the new green shirt, the referees will now be able to think creatively during matches. It is anticipated that next year the United States Soccer Federation (USSF) will complete the thinking system with a white shirt so that referees can focus at least some of the time on thinking about context. It is also expected that organizations everywhere will begin to adopt the Six Thinking Shirts, which should be an event greater financial boon for the USSF. Link on the photo above to find a recent article on the new shirts, which are sure to make a special gift for the referees in your lives. "Modern culture's worship of "how-to" pragmatism has turned us into instruments of efficiency and commerce---but we're doing more and more about things that mean less and less. We constantly ask how? but rarely why? we use how as a defense -- instead of acting on what we know to be of importance, we wait until we've attended one more workshop, read one more book, gotten one more degree. Asking how keeps us safe--instead of being led by our hearts into uncharted territory, we keep our heads down and stick to the map. But we are gaining the world and losing our souls." Nicholas Negroponte said "Yes" a long time ago, but why? As InThinkers, we might wonder about the "why" of this project. Louis Rossetto, a founder of Wired, says in the article, "You have to remember that what this is about is education." Does this respond to "why?" What is the connection, for you, between educating children and "enabling knowledge to be accessible to everyone?" Does one size fit all? Is the availability of knowledge equivalent to learning? What is your personal experience of learning? Do we all learn in the same way? What do you think might be some assumptions or mental models underlying this project? What other questions would you ask? Each piece will be from 1 - 2 paragraphs. Shel will be responsible for 10 pieces, September - June, but may not write all of them. Others will be invited to contribute. Rovin and Bellows will edit all of them. Reader responses will be requested. Perhaps at the end of each piece will be "What do you think?" and the next newsletter will include at least some of the responses. The responses must, perforce, be brief. Subjects will be determined, but varied. Readers will be invited to suggest topics. In appreciation of the title of our upcoming Forum, we refer to this column as "Transforming OurSpace Using Thinker's Thoughts." Shel provokes us this month with the topic of "What Organizations Might Learn From Nature." 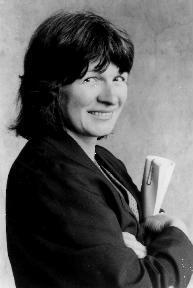 Follow this link to find latest Shel's column. Part 1. Nature optimizes, organizations function sub-optimally because they are addicted to maximizing. To optimize means to achieve just the right amount - a value between too little and too much. Too much or too little of almost any nutrient in the blood can kill you: sugar, calcium, etc. At the molecular level there are elaborate management systems that maintain optimum levels of these nutrients. Mechanisms are present that precisely regulate concentrations of essential chemicals and shut down production when optimum levels are reached and start up production when they fall below critical levels. Our bodies have mechanisms that tell us when we have too much or too little sleep or exercise, and so on. There are no such built-in mechanisms in our organizations. Moreover, in organizations the different units generally try to maximize, to get as much resources as they can, irrespective of other units and sometimes in competition with them. Paradoxically, each part of an optimally performing system cannot be performing at its best. Why? Because this would mean: the part would have all the resources it wants, the part could go as fast as it wants, and the part would be self-contained, that is, not depend on the other parts. The absurdity of this trio, I hope, is apparent. Humans have a tendency to maximize or try to maximize power, wealth, pleasure, security..... We ignore natures message that too much of a good thing is not a good thing. For those network members who will not be attending the International Leadership Series presentation by Edward de Bono ("Creativity and Strategic Thinking Techniques: Effective Practices for Innovation") on December 10, 2007 at the Marriott Grand Hotel in Moscow, we have a cheaper option. Follow this link to order a must-see and must-have 90-minute lecture by Edward, filmed before a live audience in Australia, all for a mere GPB 35, leaving you with plenty of cash for champagne.....er, Merret. For those readers who can attest to the reliability of Toyota's products, some are not as fortunate, as shown in the photo at left, when the transmission in a brand new (new model year, with 10,000-miles) Sienna failed suddenly on Christmas morning. As naysayers to Toyota would respond, "Oh, what a feeling." To those who are much more fortunate, the video in this YouTube link makes much more sense. Try it and see. "Transforming My Space In2 OurSpace - Developing Our Uncommon Knowledge." We are also pleased to announce that all of our conference speakers have been confirmed as well. Our guest list includes Steve Cook, Ariane David, Bob Dickman, Gordon Hall, Elaine Johnson, Tom Johnson, Scott Lennox, Richard Maxwell, George Roth, Gipsie Ranney, Shel Rovin, and Ralph Wood. In addition, we have confirmed a schedule of 8 pre-conference seminars and workshops on April 17-18 and 2 post-conference seminars and workshops on April 21-22. Additional details on the conference presentations, plus pre- and post-conference seminars and workshops will follow in a special mid-December announcement. The opening of our online registration system will follow by the end of the year. As a reminder, the Ongoing Discussion (OD) for December will feature Steve Haines, shown below. On Thursday and Friday, December 13th and 14th, Steve will engage us in a dialogue on the topic of "Becoming a Strategic Thinker." The formal "OD" announcement for December will be released on or before December 7th. "Most transformation programs satisfy themselves with shifting the same old furniture about in the same old room. Some seek to throw some of the furniture away. But real transformation requires that we redesign the room itself. Perhaps even blow up the old room. It requires that we change the thinking behind our thinking -- literally, that we learn to rewire our corporate brains." and a link to a link of "Transforming the Systems Movement," (a noteworthy systemic thought) which he published in 2004. "The emergence of new theories is generally preceded by a period of pronounced professional insecurity. The failure of existing rules is a prelude to a search for new ones." Our command and control suite of theories with their supervision, budgets, targets, performance appraisal, incentives etc is notoriously bad at utilising the spirit and creativity of those at the work face. Yet the use of the above techniques is accelerating. Is this a sign that we are approaching a tipping point where the wasteful command and control theories are about to be replaced by the new knowledge that is readily available or has our old inefficient ways going to continue to dominate for several years yet?